Straight from Italy comes the sustainable bag-in-box wine brand, When in Rome. On a mission to reduce the amount of waste caused by single use wine bottles, When in Rome hand-picks premium quality wine from the finest small and independent Italian producers, who box the wine and send it over to the UK by train. 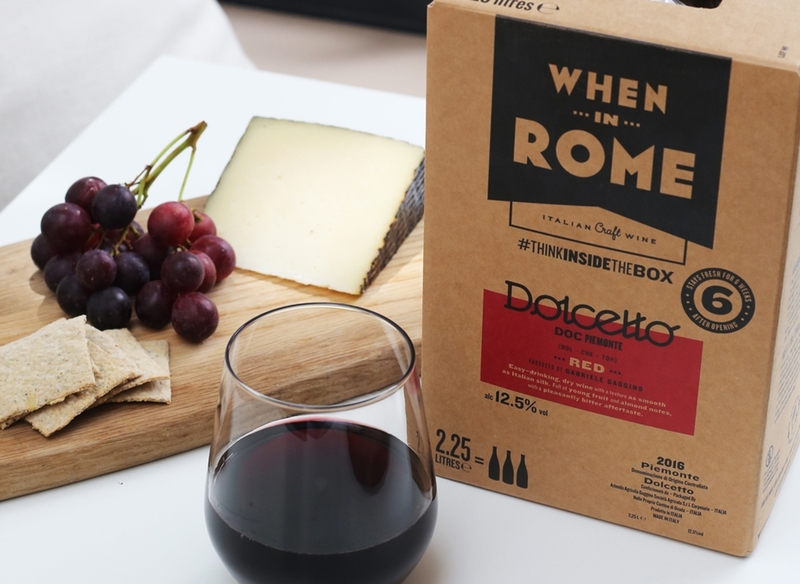 To prove that box wine can rise above its previously bad rep, and can be high quality craft wine, we sat down with co-founder and CEO Rob Malin from When in Rome to answer a few of our questions. How did the idea of bag-in-box come about and when did When in Rome begin? We started When in Rome in 2015, but I had the idea for a sustainable bag-in-box range a few years back. I moved to Turin in 2005 – this is where I met my wife and we have family in the country so I visit it a few times a year. When I met Andrea and Lorenzo a few years ago in their store, we started discussing the idea of a box wine range and they were very enthusiastic from the get go. We started selecting the wine, developed the design, packaging and the rest is history. Can you tell us about the producers you work with? We work with two types of producers: small family vineyards which have been going for generations and ‘social wineries’ or co-operatives. All the producers we work with are carefully selected as we wanted our range of wines to celebrate the best of Italian winemaking and show that quality wines could come in a bag-in-box. For example, Donatella Martincigh, Grappolo d’Oro’s chief winemaker (she makes our Pinot Grigio and Resfosco) has established herself in what was previously a man’s world. She transformed her family’s 20-hectare farm into a successful winery and has been making craft wine for nearly 30 years. Federico Mencaroni is a fourth-generation winemaker who was taught everything he knows by his uncle. Cantina Mencaroni has just six hectares but makes delicious wines from grapes harvested by hand. This small but beautifully formed vineyard really is one of Italy’s undiscovered gems. We choose wines that are authentic, with a strong heritage and link to Italy’s winemaking history. 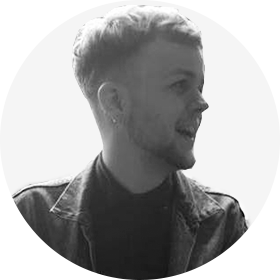 How do you choose which producers to collaborate with? All the wines we offer in the When In Rome range are available at my two partners’, Andrea Marchesi and Lorenzo Canali, wine store in Milan, La Bottega del Vino. We then look at the store’s consumer trends and pick the wines that have been the most popular and bring them to the UK. Our producers follow certain criteria such as sustainable winemaking, no use of pesticides or create vegan wines. We choose wines that are authentic, with a strong heritage and link to Italy’s winemaking history. How did you go about convincing them – when they’ve been going for so long – to work with you? It was crucial to establish trust. Some of the wines we offer have been available at the Milan store for a few years, so the relationship with the producer existed. They knew we were serious about the brand and some were very enthusiastic straight-away. Once we launched, we then approached more wineries with our project, it sometimes took a little bit of convincing, but they were on-board very quickly. They saw When In Rome as an opportunity to educate UK consumers on the way Italians are drinking and enjoying wine. So far, the experience from both side has been extremely positive, and we are expanding our range with other blends from some of the producers we are already working with. What are the benefits of working with small producers? Essentially, it’s the quality of the wines they produce. We only work with passionate people who have a great story to tell and each wine is really the expression of their character and terroir. Each producer also boxes the wines directly at their wineries, so they are responsible for the quality of the entire box from start to finish. They are proud of their wines and really want to showcase the best they can offer. How have you weathered the recent backlash against plastic? We have always been very transparent with the fact that we have an almost entirely recyclable packaging. We are working towards a zero-waste wine box as the PET/LDPE bag used in most boxes is not yet recycled by local authorities in the UK (unlike in France or Italy where the communes will accept them). We are in talks with recycling company TerraCycle to put a solution in place at our points of sale and we’re hoping that the renewed enthusiasm with boxed wines means that this will be achieved soon. We’ve seen some consumers using them as pillows during festival for example and they also make a great water sprinkler for plants. What’s on the horizon for When in Rome?